Loo-Au at the Zoo – A fun summer thing to do! 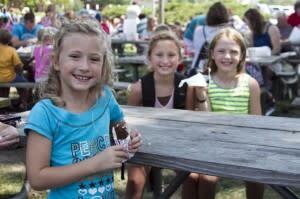 Posted on July 17, 2014 at 10:00:00 am by Louisa D.
A hotdog, chips and cool treat at the Zoo – what could make summer better? How about a free ride through one of the zoo exhibits? According to the Fort Wayne Children’s Zoo, the Zoo-Loo-Au celebration can draw more than 10,000 visitors in one day and it can be a really busy time! 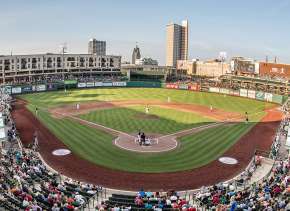 But it is a tradition here in Fort Wayne – and you don’t want to miss it. The Zoo-Loo-Au, Monday, July 28, is for members only. 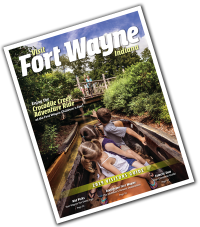 If you have purchased membership with the Fort Wayne Children’s Zoo, then you will receive a postcard invitation to the Loo-Au. If you happen to have some friends coming along who are not zoo members, additional food tickets can be purchased when you get there (food is free to members). And if you’re new in town, you can also purchase membership on the day of the party. Just be prepared for some fairly long lines! 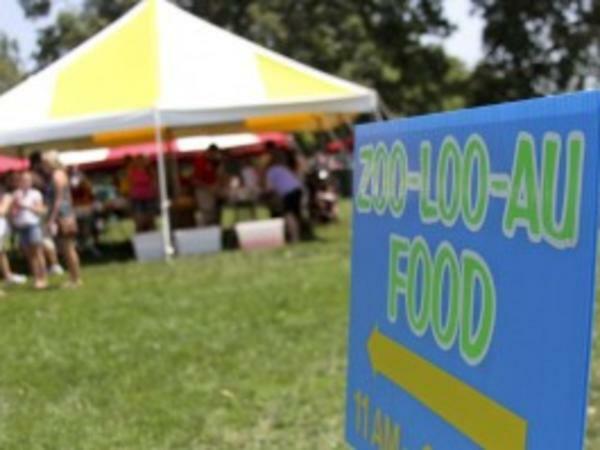 The Zoo-Loo-Au will feature a picnic meal (hot dogs, potato chips, orange drink and a sweet treat – usually a chocolate/vanilla ice cream sandwich) and free admittance to a ride of your choice inside the zoo. 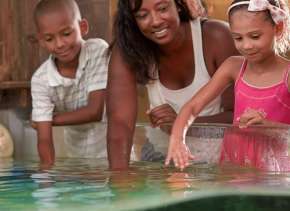 You are able to tour all the exhibits, too – from the African Journey area to the Indonesian Rain Forest. 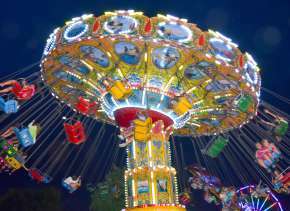 Rides that are available include the boat ride in the Australian Adventure area, the train ride, and the carousel. If you use up your free ride and want to take a different ride, too, you can – just line up at the counter and buy a ticket. The zoo opens at 8 a.m. for members and lunch is served beginning at 11 a.m. The zoo will be staying open until 8 p.m., so you can either come over for an afternoon jaunt with the kids or wait until after work for a family-friendly event in the cooler evening. 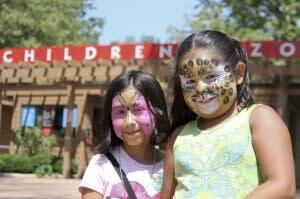 Check the zoo’s website for exact details on when rides open and close. The picnic takes place outside the official zoo gates. Lots of wooden picnic tables are scattered about under the huge trees of Franke Park. Some folks opt to bring picnic blankets. If you want to have a bigger meal than just hot dogs and chips, bring a packed cooler with your extras – I’ve seen complete meals appear magically on the tables. You might want to bring soda, extra chips, pb&j or other delectable fare. Inside the zoo, the walkways are crowded with people meandering slowly through the exhibits. 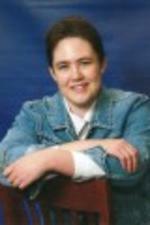 The sea lions are usually swimming around in their huge, windowed tank. The cooling arbor built over the sidewalk is also a draw for visitors who want to get out of the sun. The Indonesian Rain Forest is also refreshing with its indoor explorer’s cabin (check out the hammocks in the back) and the pleasant waterfall and water plants. While it feels like you’re traveling through a rain forest, it’s cooler than wandering around outside in the full sunshine. But what is truly cooling if you’re going to stay outdoors is the boat ride. Yes, you might wind up in a line that is about 50 people long. But once you have stepped into the canoe and the zoo helper has launched your craft, the pleasant swooshing of the boat and the rush of the water is worth the wait. Through different tunnels and around the kangaroo grounds, you can just sit and relax and snap a few photos. After all, this is summer – and you’re enjoying it!